The showroom, which opened in June, was conceived as an example of the TreeHouse mission of beautiful, healthy, and sustainable living. 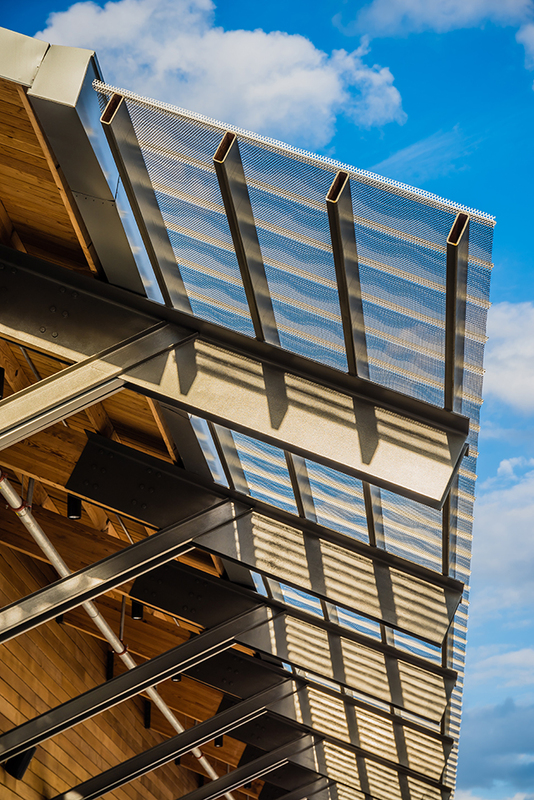 The building uses a combination of passive and active design strategies to go beyond net-zero and become energy-positive. TreeHouse’s iconic saw-tooth roof sweeps down to create a shaded front porch for the store, emblematic of regional home architecture. 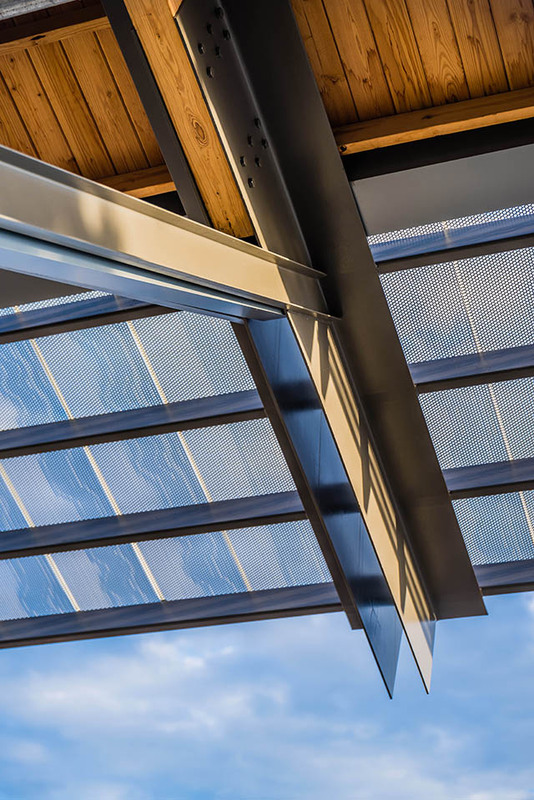 The roof design fills the store with natural light through north-facing clerestory windows while providing ample southern exposure for the store’s 539 solar panels. Two Tesla battery packs store electricity generated during the day to power the showroom through the evenings. Excess energy is sent back to the city’s grid. The Dallas store is designed around a grand red oak that signifies the brand and its connection to the natural site. The tree shades a courtyard that showcases native landscaping, rainwater harvesting, and other outdoor features used in the design and available in store. Other sustainable features of the building include concrete walls for thermal mass, variant-refrigerant flow HVAC, sparing LED fixtures on motion-detecting sensors, and an electric forklift. 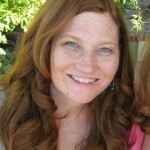 Looney Ricks Kiss was the architect of record for the Dallas store. 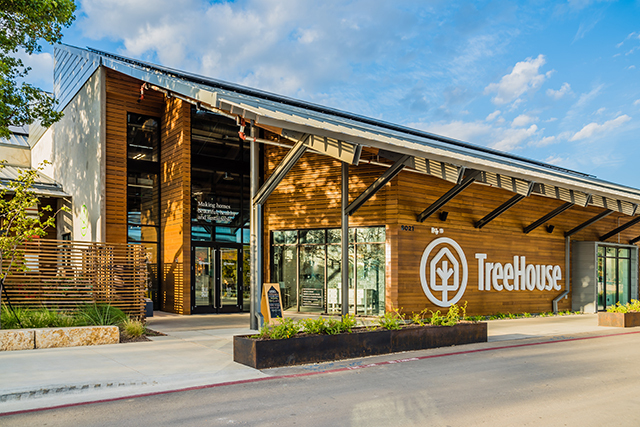 TreeHouse opened its third store in January in Plano.